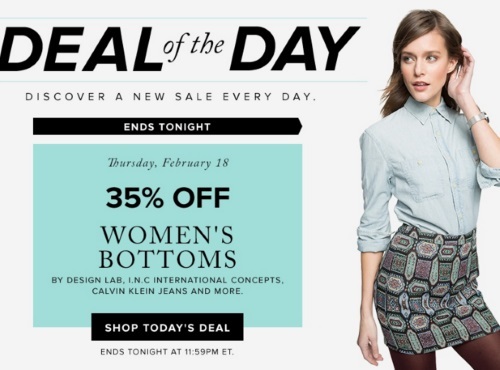 Hudson's Bay's Deal of the Day today is 35% off Women's Bottoms! This includes Design Lab, International Concepts, Calvin Klein Jeans and more. Offer is valid online only until 11:59pm ET.